When two cocky young L.A.P.D. police officers confiscate a cache of money and guns during a routine traffic stop and make an ominous discovery, they are marked for death by the notorious drug cartel that own them. 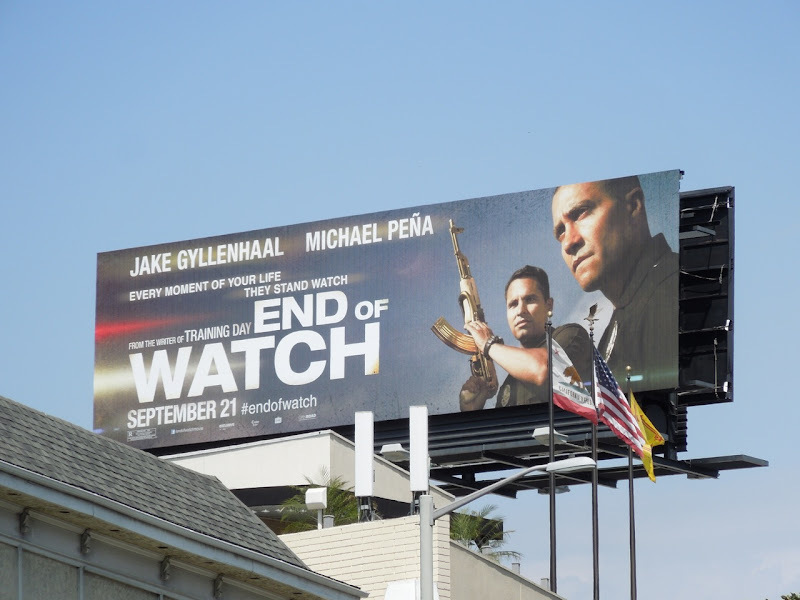 Jake Gyllenhaal (sporting a shaved head) and Michael Pena are the hotshot cops in question in this suitably atmospheric creative for End of Watch. 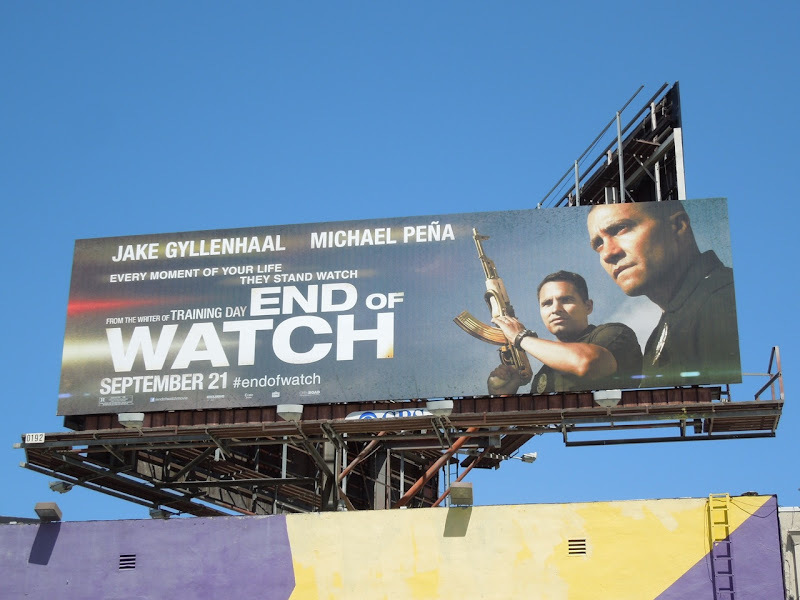 Meanwhile Training Day's David Ayer adds some gritty writing and directing credentials to proceedings. 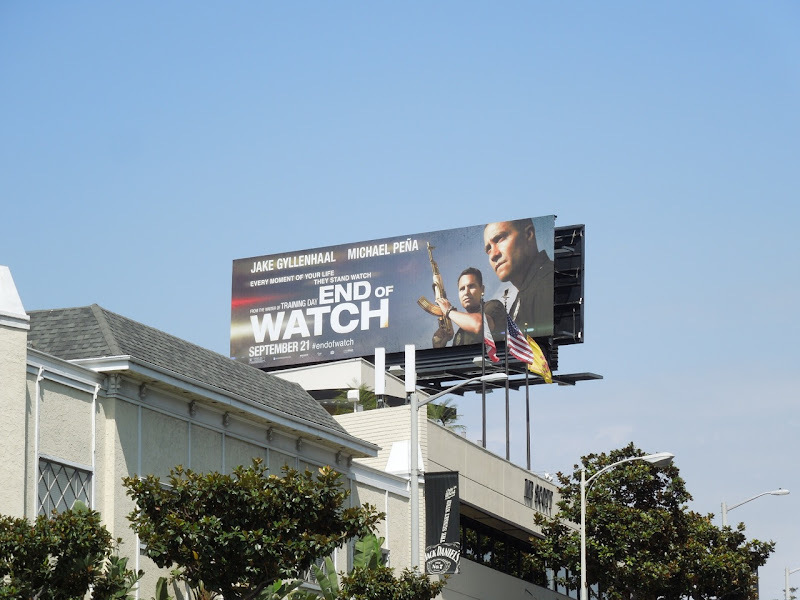 These movie billboards were snapped along Sunset Boulevard and San Vicente Boulevard on August 30, 2012. 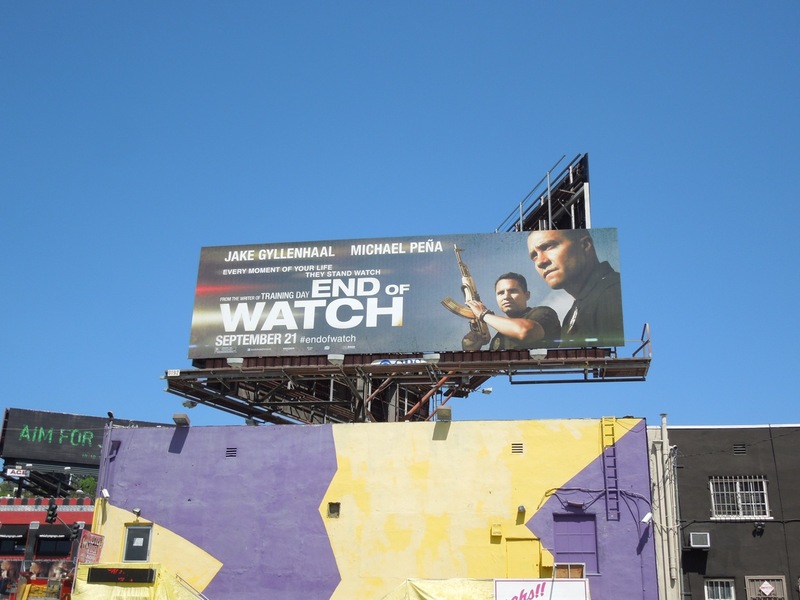 If you're a fan of Jake Gyllenhaal, be sure to also check out these Source Code movie billboards and giant Prince of Persia movie billboard from around the streets of L.A.